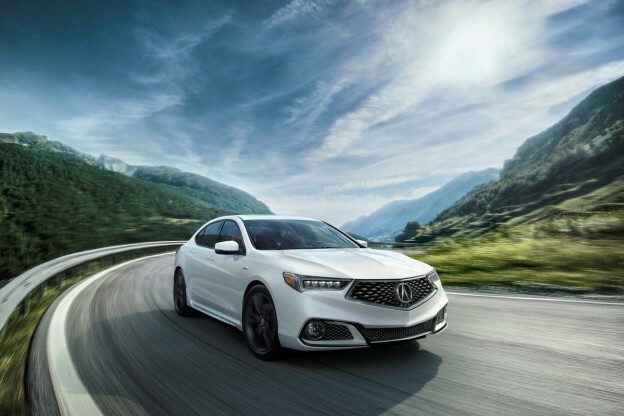 The 2018 Acura TLX that recently debuted at the New York Auto Show is a testament to Acura’s commitment to achieving sport performance excellence. Just three years after the first TLX ever hit roads, this vehicle has come a long way. The new TLX has had some major edits— “refreshed and significantly enhanced,” as the brand puts it. They’ve effectively ushered their mid-size luxury performance into the future that is the present, with some great base-model upgrades like the addition of AcuraWatch and a whole array of styling adjustments. They’ve also brought back the A-Spec handling package for 2018, which is cause for celebration. Here’s what you need to know about the new model, including how it stacks up against its predecessor. 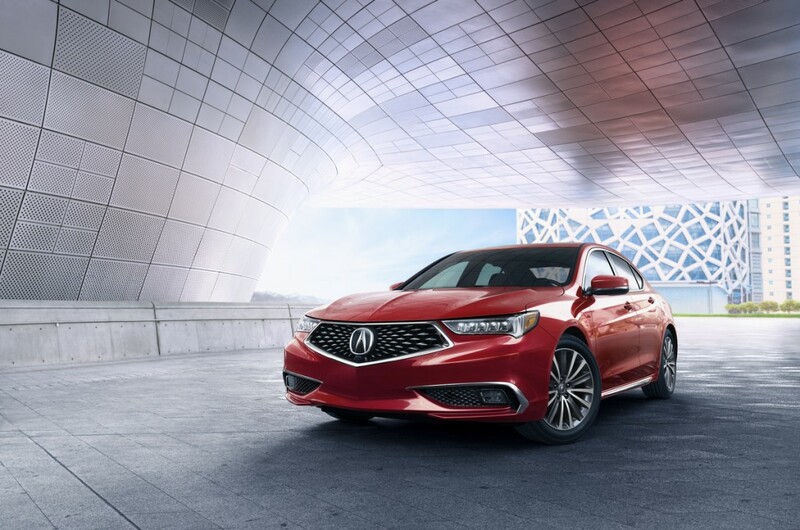 The 2018 Acura TLX is built on the same platform as the previous model with familiar hardware under the hood. Two engines are on offer: a 2.4 L 4-cylinder producing 206 hp and paired with an eight-speed dual-clutch automatic transmission, or a 3.5L V6 making 290 hp and paired with a nine-speed automatic. Torque vectoring AWD comes optional on the V6. But close the hood and take a step back and you’ll start to notice the differences. Some of the exterior style updates nod to the Acura Precision concept that debuted in 2016, like the diamond pentagon grille, the sizable air intakes below the front bumper, and the more punctuated wraparound LED headlights. The 2018 TLX also gets wider tires and exposed exhaust tips, adding even more aggression to its stance. Within the car, there have been significant changes made to the infotainment system. 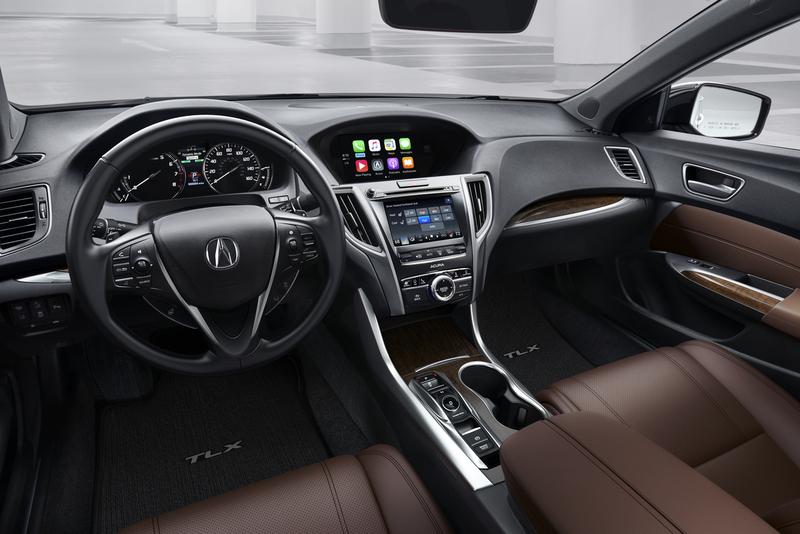 It’s been gifted with Android Auto and Apple CarPlay (the first time Acura has used these systems in any of their vehicles), as well as a restructuring of the touchscreen, graphics and overall electronics layout. There’s also a new wireless charging port in the centre console, because none of us is getting less connected these days. But perhaps the most noteworthy upgrade is the presence of AcuraWatch, which comes standard on the base model. The 2018 TLX is the only compact sports sedan to offer the protective tech suite that includes lane keep assist, forward collision warning, adaptive cruise control and more. The real eye-catcher at Acura’s display at the show was the new A-Spec package, which marries a more aggressive and premium design with the TLX’s sportier driving abilities. The A-Spec comes with the six-cylinder V6 engine and driver’s choice of front wheel drive or Super Handling all-wheel-drive. Visually, the A-Spec distinguishes itself with a distinct, modern front end, dual exhaust tips kicking out the back, blacked-out 19-inch wheels, circular LED fog lights and some fresh sills on the sides. The interior is similarly ‘sportified’ with a sport steering wheel, further bolstered seats, and red or black leather features alongside a brushed aluminum details. The 2018 TLX A-Spec has a more precise power steering system as well as some tweaked suspension settings with stiffer springs and more responsive damper settings. All the better to feel the road with. The 2018 Acura TLX is expected to hit Policaro Acura this summer. This entry was posted in Blog and tagged TLX on April 21, 2017 by Anthony Greco.